Come into a world of pipecleaners and hot glue; where people have no faces yet express themselves perfectly, and they have no idea of the larger world beyond their shallow, cardboard existence. 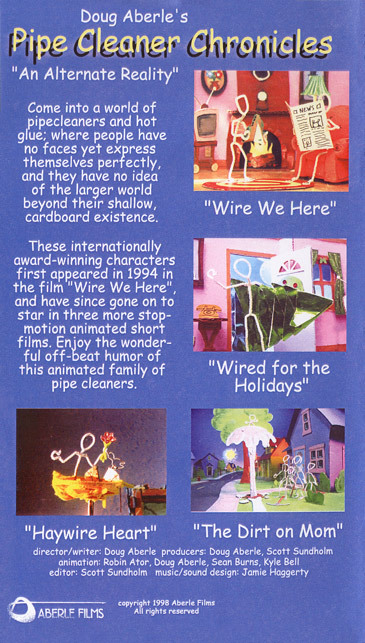 These internationally award-winning characters first appeared in 1994 in the film "Wire We Here," and have since gone on to star in three more stop-motion animated short films. Enjoy the wonderful off-beat humor of this animated family of pipe cleaners. VHS Sorry, this item is no longer available.